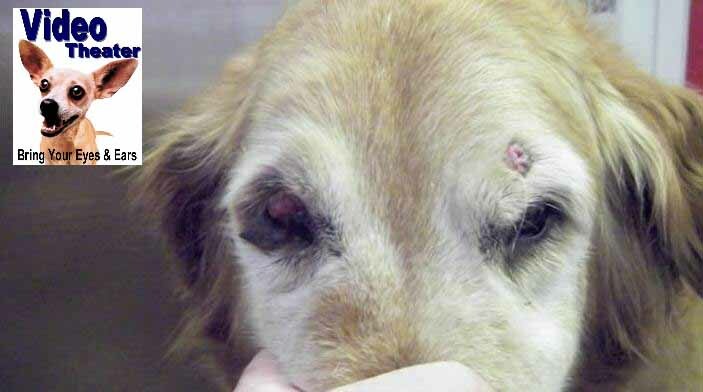 Veterinarian provides photo-video evidence of deadly vaccine reactions, malignant tumors, vaccine-induced disease and immune system damage caused by booster shots. This is a return for the third time reaction of a dog vaccinated in his right rear leg with a Fort Dodge Rabies vaccine. The owners could not pay again for the surgical removal of this cancer and so had to have their pet destroyed by lethal injection. This procedure was performed by the very veterinary facility that had obtained the income for vaccinating this patient, year after year after year. There are many published scientific papers from researchers identifying all sorts of vaccine reactions including sarcoma cancers. 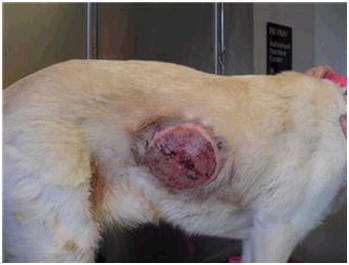 This dog below had a dinner-plate sized round cell tumor come up following a rabies vaccine. The tumor was surgically biopsied and found to be a mast cell tumor. 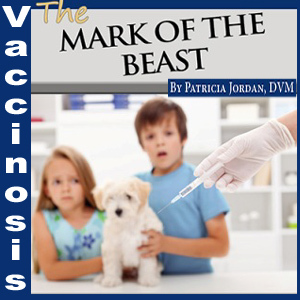 In my book, Mark Of The Beast, are details on several holistic veterinarians, forced to comply with the laws of their state for the needless and dangerous rabies vaccines, had their own dogs develop mast cell tumor reactions following the rabies vaccine. 14 year old “Rocky” first barely survived IMHA (immune mediated hemolytic anemia) a very common adverse event that follows many vaccine administrations but especially following rabies vaccination, only then to have the tumor come out within two days. Bills were over $3200 and the veterinary doctor was in denial that the rabies vaccine that had been administered to the dog had anything to do with it. Cancer is cancer and it is everywhere to be found. You can blame the environment but why do you not question the carcinogen that is injected directly into the patient? It was immediately following the vaccination of this geriatric dog that he was almost lost from the IMHA and then the tumor you see below came out on his leg. 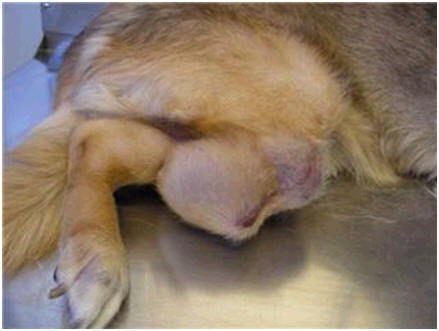 This tumor came out at the exact location where the rabies vaccine had been administered and after the dog received massive steroids to save his life from the immune mediated hemolytic anemia, his veterinarian denied that the reaction or the tumor was due to the rabies vaccine administration. Despite there being published articles naming IMHA as a common sequela to rabies vaccinations and the link of the aluminum in vaccines to cancer (tumor) formations. Denial, similar to the CDC to deny the very scientific results of their own researchers, spin it like you will. The owner was charged full price to deal with these vaccine induced adverse events received another blow in a $5 late fee from the veterinary service in Cape Carteret, NC for the final bill of $175. Now the dog has developed an aural hematoma, vasculitis from the vaccine, still carrying the burden of adverse vaccine reactions still carrying the financial burden of the medical hubris of that veterinarian. Vaccinated animals are not only getting cancer at the injection site, they are getting cancer at every level of the immune system including lymphoma and leukemia. Canine retrovirus associated with lymphomas is identified. Thanks to the work of Dr. Larry Glickman at Perdue University and the Haywood Study, we see that only vaccinated animals are developing auto antibodies. From Dr. Jean Dodd’s work we see the connection to thyroid disease from vaccines. From aggression and seizures and lowered fertility and immunosuppression, we now see the T cell suppression that results after vaccination, generating a rise in the cases of fungal, demodex, coccidia, parasites and other diseases that rely on the cell mediated immunity to fend off problems like Lyme’s disease and other intracellular pathogens. In “Emerging Viruses” by Horowitz: He says that the transmission of viruses is through vaccines: this truth would explain why the disease spreads with the use of vaccines. If what I believe is true, then vaccines are what “keep the disease in play”. Keeping the disease in play is profitable, “there is always money to be made in developing drugs to try to counteract the problems too much vaccination creates” - NVIC May 2006 $ 1 Billion in Flu Vaccine Contracts. Post vaccinal encephalitis causes the vet to put a patient on Phenobarbital which then makes the patient hypothyroid and of course we know the vaccines cause allergies and that even within 3 months of vaccinating we should not try testing for atopy or allergic skin issues as the vaccines will interfere…but are the vaccines doing more than interfering? Vaccines are essentially inducing the very diseases of Internal Medicine. Even Crohn’s disease or IBS is it a post vaccinal sequela that leads to increased gut permeability following the increased gamma interferon and the suppression of the cell mediated immune system, the suppression of Cd4 and CD8 and lymphocytes that allows the vaccinated body to develop permanent chronic inflammatory bowel disease? Dr. Pitcairn has been saying the two major contributors to ill health to companion animals today is the overuse of vaccines and the feeding of commercial pet foods. 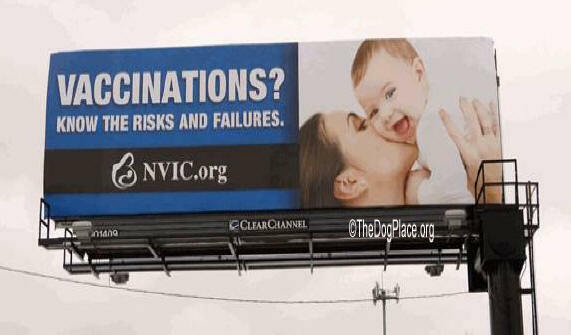 Dr Pitcairn is a DVM and a PhD, a PhD in Immunology and Virology who didn’t start out thinking vaccines were a bad thing…it just didn’t take him much time to see the clear and unyielding connection; vaccines produce chronic disease, they produce vaccinosis. Animals that get yearly inoculations against everything, they are the ones often, with complete immune system annihilation and adrenal failure. They are the ones you see having to be administered ATOPICA, a chemotherapeutic, cell poisoning to try and incapacitate the dysregulated immune system from reacting further. Look at the euthanasia preformed on once loved pets because the owners aresapped of all their money and all of their time, they can no longer stand to look at the pet they loved for there is no longer a remnant of the former companion they once shared intimate time with every day. It was not until this year in 2007 at a conference in Warwick, Rhode Island sponsored by Merial about the four pages of adverse vaccine reactions that are well documented in scientific literature resulting from vaccine administration came to light. How many professional doctors “slab em and stab em”? Meaning, how many come in and get the 5 minute look see while being shot up with multiple vaccines from possibly all different vaccine companies and in the face of poor health - autoimmune disease, skin disease, seizures, cancer, even so called“ benign cancers”? The fine print says Animals on immune-suppressive doses of steroids should not be administered with MLV (modified live virus vaccines). Many of these animals are fed poorly and do not even have the ability to mount an immune response despite the fact that over vaccinating will not only drive up the adverse reactions but further destroy the immune system. How many of these pets are now a larger risk of transferring disease to humans due to a dysregulated, ruined immune system and genetic mutation? Yes, now there is a thought, how many ignorant on the manner of fighting against yearly rabies vaccinations are using the unscientific excuse that the danger to public health will be compromised? The list of VIDS (vaccine induced diseases) is essentially, like Dr. Rebecca Carley warned, our list of internal medicine disease. Look at the list of adverse vaccine reactions and realize this is starting to look much like a list of Vaccine Induced Disease which is shaping up to be the bulk of Internal Medicine cases that we have made for ourselves to turn around and treat. An embarrassing form of job security and one that our profession must stop promoting. Our state veterinary board needs to take a stand. Our professional veterinary associations need to take a seriously hard stand on this and not just a “political compromise” of three year vaccines. Click for Instant Information on ii Adverse Vaccine Reactions. For these reasons, Dr. Ron Schultz is every animal’s hero and may also be fitted with the title of saving many children as well. Dr. Jean Dodd, a pioneer as well and proudly carrying the black arrows in her back, targeted for her version of truth, supplied the research linking even more vaccine induced diseases. Dr. Dennis Macy with the Feline Vaccine Induced Sarcoma Task Force provided information of cancer from vaccines and the p53 mutating force of aluminum hydroxide as told by Dr. Rich Ford of North Carolina College of Veterinary Medicine. So, it is true we create our own job security in the medical profession. David Kelly (author of Evidence of Harm), asks "What will we tell the world?" How did we get to such a place on top of a huge medical-pharmaceutical-industrial complex foundation of lies? 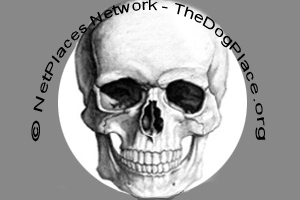 Read the paper authored by Professor Bridie Andrews, entitled Blood Poisoning Made Benign? Making Sense of Compulsory Vaccination, Government Input and the Individual. Just look at any of the diseases that result in an Immune mediated or hypersensitive response, any autoimmune disease, cancer and pretty much all of the internal medicine cases we treat today. The animals, our companions on this planet have once again been living our pain and one again preformed the role of sentinels to our salvation. Heed the warning, ring the bell, alert the masses. We have a planet to heal and a nation of beings to rescue from the hubris of man. Are vaccines failing as reported in both human and veterinary medicine?